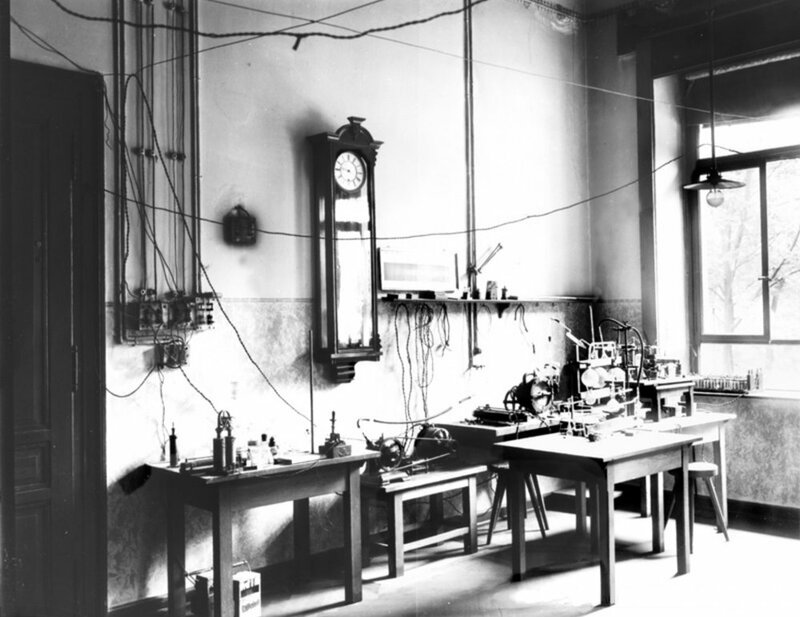 Röentgen's laboratory at the University of Würzburg, Germany. Wikimedia Commons, public domain. A November 8 shoutout to physicist Wilhelm Conrad Röentgen, who on this day in 1895, utilizing a cathode tube, discovered that if he passed an electric current through gases at low pressure, the resulting rays could cause fluorescence in a barium platinocyanide-coated screen. While Röentgen was not the first to observe effects like this, he was the first to study them systematically. Röentgen named the electromagnetic radiation “X-radiation”, with the “X” indicating that the properties of this radiation were still an unknown at the time. The name was subsequently shortened to “X-ray” and the rest is, shall we say, history. During the year following his discovering, radiographs were being used by hospital surgeons, and war doctors used them to determine the location of bullets in wounded soldiers. Subsequently, additional research paved the way to other diagnostic uses and new therapies for the treatment of cancer.